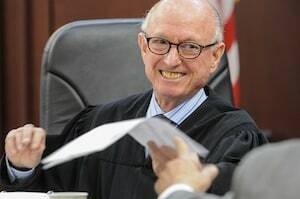 Due to The Higgins Firm’s passion for public service and desire to encourage those considering entering this arena with the inspiration of Judge Bill Higgins behind them, we are honored to present the Judge Bill Higgins Public Service Scholarship. The scholarship will award $500 to the student that best expresses their thoughts on the importance of public servants with insight and creativity. This scholarship is offered to any student currently enrolled in an accredited community college, undergraduate, or graduate program in the United States. This includes incoming first-year college students who are high school graduates or possess a GED. (NOTE: First-year college students must submit an unofficial transcript from their most recent school, as well as an unofficial transcript from their current post-secondary institution.) The scholarship candidate must possess an interest in public service, as demonstrated by past and present volunteer, professional, and educational experiences. All eligible candidates must be in good academic standing, with a minimum cumulative GPA of 3.0 or above. ONE OF THE FOLLOWING. YOU PICK! A 750-1000 word essay that expresses the importance of public servants and community service. The essay will draw from both personal experience and the impact on the community as a whole. The deadline to apply for this scholarship is October 31, 2018. Please submit your FULL application by email to info@higginsfirm.com with the subject line: “[Applicant’s Name] - Judge Bill Higgins Public Service Scholarship” by the October 31 deadline to be considered. Thank you for your interest in the 2018 Public Service Scholarship. Please contact The Higgins Firm at (615) - 353-0930 for a free case review.